If you own a semi-truck, then you are most likely to get worried over its spare parts at some point. 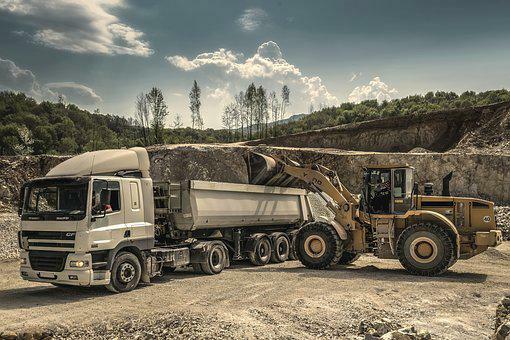 Your truck is running with the heavy loads on the rugged and spiky terrains; do not get surprised when you find yourself hunting for spare parts. Apparently, permanency is just not permanent. Unfortunately, at the retail stores, you can find parts priced to the sun; it’s because customers simply do not know any better. In this article, we will take you through the simple yet the most convenient ways of tracking down the spare parts without having to go through the arduous and often nerve-wracking and bizarre process. We will guide you through generic and easiest ways to find the spare parts. There is one website every spare part shopper should visit once before purchasing. Obviously, it is eBay which is the juggernaut of both new and re-manufactured auto spare parts, and of course, many of you might have heard of it. And you could also find shops in your locality that can provide you the parts. Check the market price and move to eBay compare the cost with eBay pricing; then calculate the cost including the shipping charge against the local price. Whichever is affordable go for it. Call the truck dealer to confirm the specific part number before you make the purchase. Not confirming part number could prove to be utterly stupid and you can’t even put the blame on somebody and that is the saddest part. Some parts are so unique to specific engine and transmission combinations and you need to find the exact product to run your truck. It is very common for junkyards to match a lower price for a specific part of a retailer located in the same locality. Be courteous while you bargain and compare; do not compare illogically. Do not match the price of an engine with 50,000 miles with an engine that has 300,000 miles on it. While bargaining, be polite and inform him about your research on eBay and remember he also has the same information and if you fool around with him, he might not hesitate to return the favor immediately. Craigslist is not often a good source of buying parts as much as you would like it to be; it can prove to be bizarre in comparison to online and junkyard shopping. On Craigslist you will get the parts as it is; however, in case of the junkyard and online shopping you have the option of exchange and refund; hence keep it for the emergency; if everything fails, then consider Craigslist as a last resort. Sometimes it is hard to find parts for the high-end and classic models on eBay or with local retailers; in this seemingly tricky situation, you can visit to the nearest junkyard and check their inventory; and if you happened to be lucky, you might find the parts lying somewhere in the corner apparently unaware of it importance in real world. You are most likely to encounter coupons while shopping online; using these coupons could let you save a substantial amount of money on the purchase. If your dealer says that buying products from other sources will void your warranty, then remember; it is not true; you can buy products from other sources, and your warranty will remain valid until it expires officially. When nothing seems to work; you can turn to fellow enthusiasts who can help you find those rare parts; you can locate forums for the make and models of your truck, sometimes you can find threads pertaining to specific model posted on the forum and keep trying out various forums and you might be able to hit the jackpot. In case the forum happens to be of no use which is very unlikely, turn to social media; your friends can surprise you by giving that little piece of information which you have been searching elsewhere manically. Probably, by spending little extra bucks you might be able to get the part. There are various online stores which might not be as popular as Amazon and eBay are; however, they can turn out to be a great source of finding rare and special parts, and sometimes you will be surprised to discover that they keep a range of products that are not enlisted in popular shopping sites. Well, that could be sometimes very hard to find such kinds of stores; however. If you happened to crack one, then you might be able to solve one of your biggest problems. While buying products from these seemingly unpopular sites; make sure to check the payment methods and security; also remember to verify the shipping costs and time frame; sometimes products shipped from other countries could take months to reach your place. If you are still unable to find the part, only then talk to your dealer and in most of the cases; you would find their costs insanely unreasonable; in fact, your dealer is at mercy of the manufacturer; they cannot do much about it and you cannot blame them either. These are simple ways to buy spare parts without being bogged down by unnecessary hassles; looking at the importance of the business; you need to have your truck running in perfect condition. You can certainly avoid getting caught in this kind of situations by regularly paying attention to your truck’s maintenance. Ask your driver to drive carefully and pay heed to the minor faults and get it repaired immediately. All is said done; it is advisable to keep yourself informed about the spare parts’ dealer and shopping options. Certainly, you do not want to make hurried decision and most of the times it could be expensive. Just stays relax; it is not very difficult to find spare parts, and difficulties do not occur very often, most of the times you are going to find spare parts easily. Rarely will you find yourself caught in a situation where you need to hunt for parts little longer! This entry was posted in Frugal purchases and tagged dump bodies, dump body manufacturer, dump truck bodies, trucks. Bookmark the permalink.